Today's project is a Super Simple Sunday Project I made in a few minutes using a paintbrush to create the background, with some water and ink refills on Watercolor Paper. It dries faster when you use a heat gun. Note that you could use your waterbrush pen for that technique too but I wanted to go faster and make larger "lines". 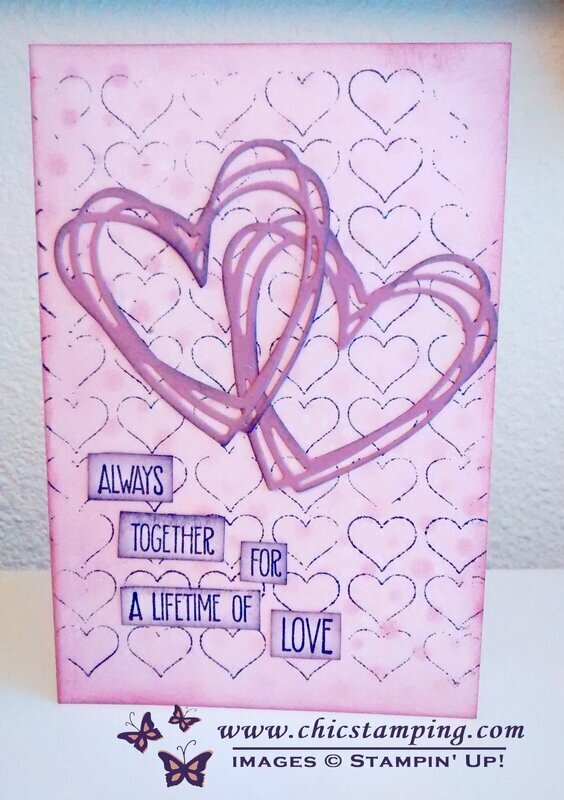 Before I made this card, I was playing with the gorgeous Window Box framelits and had some little hearts left over from the box I made. I didn't want them to go to waste, they are so cute and so tiny. So I used them in the middle of the big heart. 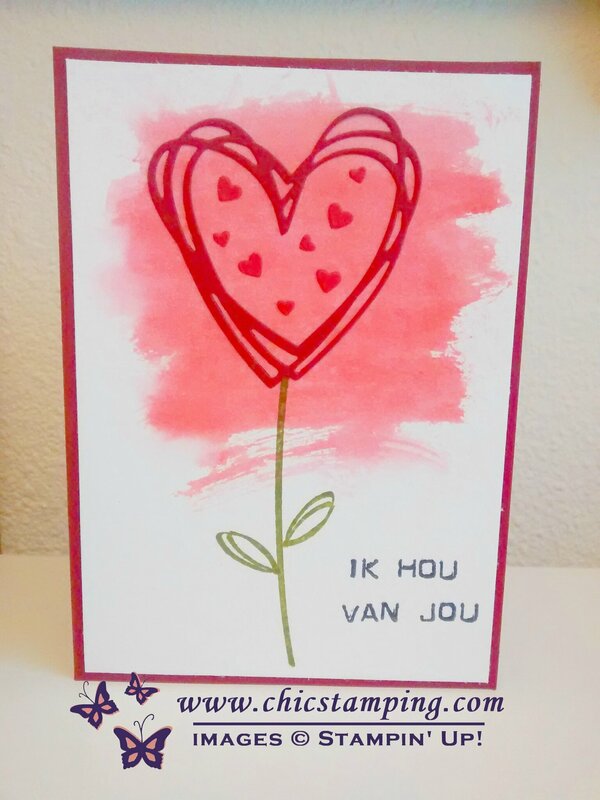 To finish up the card, I used the Labeler Alphabet to create the Dutch sentiment. 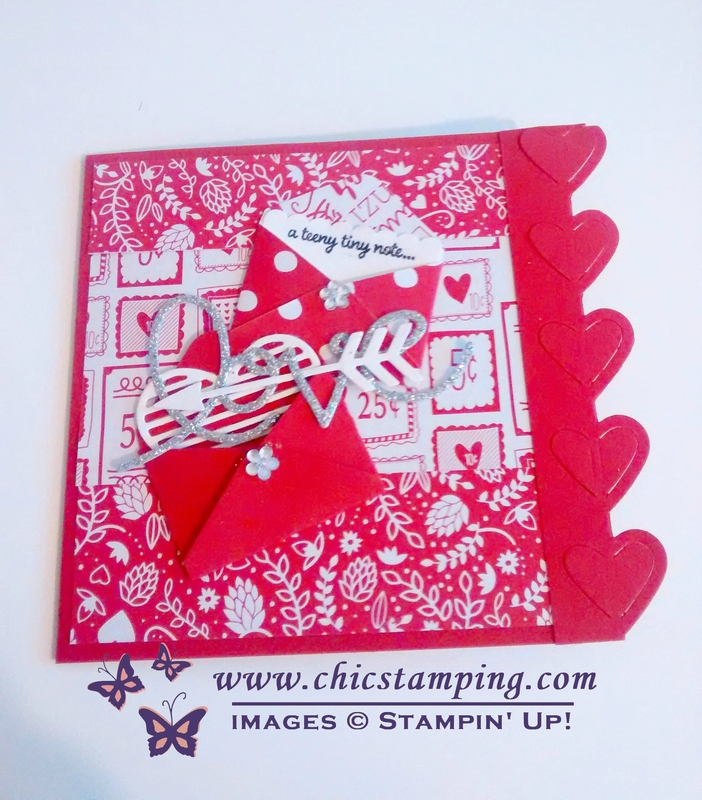 I love how it is simple and quick to create any sentiment we want with this stamp set. The ink I used is Memento Black. 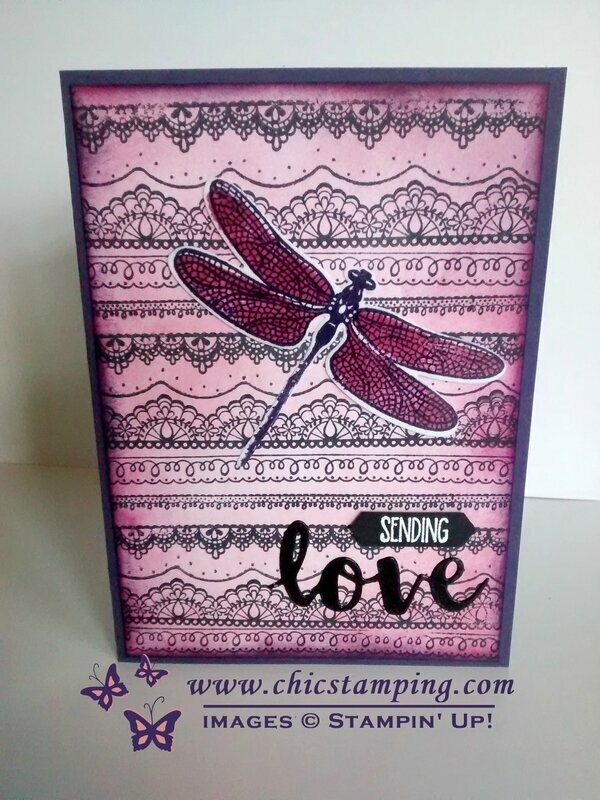 This was another easy and fun card to make. Now I want to share with you the most darling little card I have been receiving this week. A love note card from a "secret" admire. Isn't that adorable? Well the post office spoiled the secret, since I can see where it is coming from, but my heart melted anyway. So, to my secret admire, THANK YOU VERY MUCH! For workshops, orders or information about this card, please contact me at adeline7674@hotmail.com or call me 06.134.179.71. Vragen, Bestelling of informatie? Neem contact mee op. Comments Super Simple Sunday Projects serie #3 - Special Valentine's day.